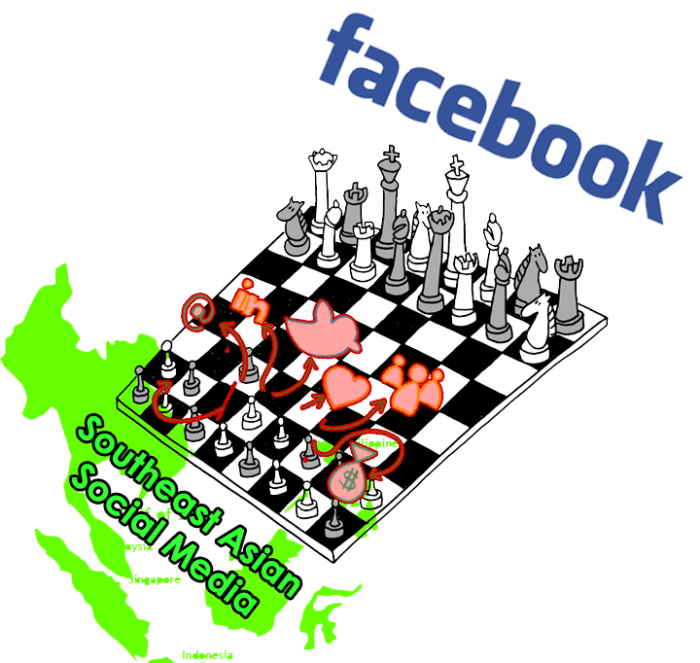 Social media approach for regional firms in Southeast Asia? Home »Online Travel»Social media approach for regional firms in Southeast Asia? But the attraction of the 600+ million people market with high engagement net citizens can’t possibly make us ignore all the difficulties of a big but scattered market with different countries, with different languages and cultures in which developing a social media strategy is clearly not easy. Let’s discuss how to find some approaches for this area with the two guys specializing in Southeast Asia social media: Abang Edwin SA, the ex Community Manager of Yahoo SEA, and Achmad Alkatiri Senior Community Strategist at Wego.com, a travel meta search engine. 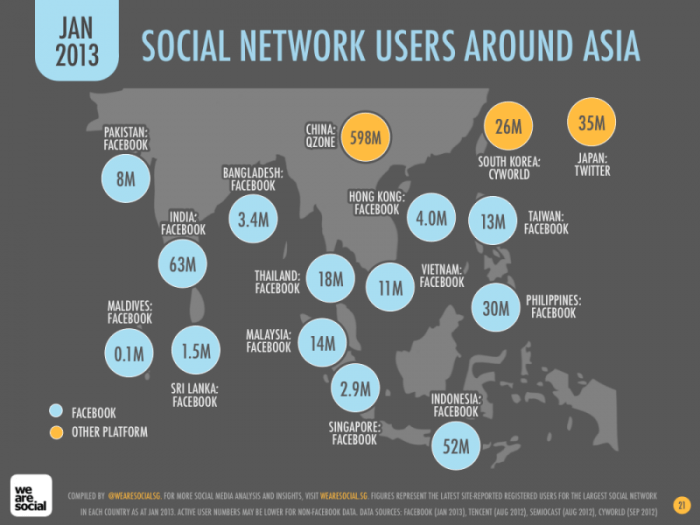 Can you say one sentence about Social Media in Southeast Asia? Abang: Social media has become a serious backbone of communication in Southeast Asia, together with mobile. Do we need to focus on social media in Travel & eCommerce and what is the role of social media in this field? Achmad: Yes absolutely! Southeast Asians are very keen to leveraging e-commerce activity. The ease at which people can now reach out to their friends or family on Facebook or Twitter for advice, tips, and make comparisons before making any buying decision has a huge impact on e-commerce platforms, especially travel. With social media, travel brands can connect, engage and build stronger relationships than ever before. 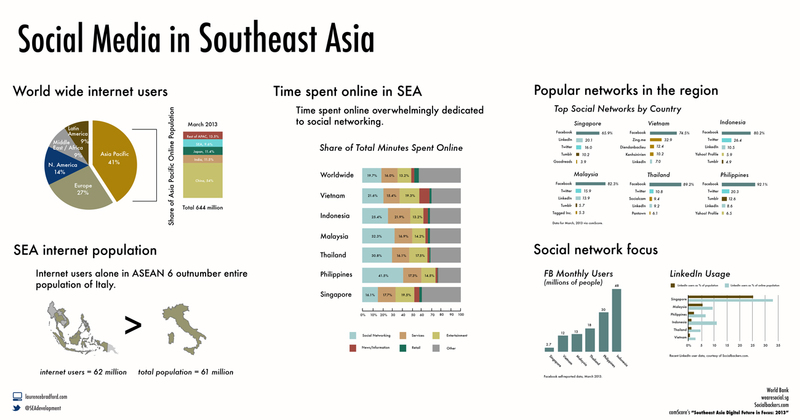 What are the similarities and differences in Southeast Asian users’ behaviors and insights? Abang: [quote]Based on my personal observation, there are two kinds of users in Southeast Asia. [/quote]The first one is users that are heavily using social media as a communication tool to reach their friends. They form an online community among themselves. The second one is users that are using social media for business, usually for commerce. Lots of them already have their own offline business and want it to have an online channel through social media. Achmad: I believe each country is unique to it’s own user behaviour, but in general Southeast Asians have one thing in common: they are very social, as mentioned previously, which is reflective of traditional community ties. Which is the best way to create a strong Facebook page here, build one page for the whole region or one page for one country/language and why? Abang: [quote]I always have a strong belief in a local approach to enter the market, so if I have to choose then I will build one page for each country. [/quote]The reason for that is simply because we have to reduce the gap between company/brand to make them closer to us. Achmad: One page for one country. Wego has a firm belief and has had great success with our localisation strategy with 52 country sites in more than 30 local languages. Going local helps to engage an audience. But Facebook recently launched Global Page model that allows brands to create individual localized versions of their Page while maintaining the same Page name and global metrics such as Likes and PTAT across all Pages. It’s an option that we’re considering. And what are the keys to have a high engagement large community? Abang: The key to have a high level of engagement is providing conversation with quality and relevant content to the community. Achmad: [quote]Most importantly I remember that I’m creating a community, not an audience. There are big differences. If you have a community, there is always two-way communication. [/quote]Post content that you think is relevant & helpful for your local market based on local trends or local interest. Usually the sales conversion rates from social media channels are quite low, even less than 1%, how to improve this factor? Abang: If we do sales in social media then we need to use a sales strategy combined with conversation. Using social media as a pure sales channel (and doing a hard sell through it) won’t make it better, and I have seen it even make it worse. Achmad: [quote]As I mentioned earlier, brands should use social media to connect, engage, and build relationships with their potential customers, you should never take a hard sales approach. [/quote]Social media should be used as a tool to improve existing channels and increase direct visits, improve CTRs on SEM, advertising, increased SEO visits. Measuring sales through social media in isolation really undervalues the social channel. Any big change next 05 years? Achmad: Changes to the service has pushed Google+ into the limelight, and Southeast Asians will spend much more time here. Mobile video platforms, like Vine and Instagram, will become more popular and of course, the war of cross-platform mobile messenger apps (Whatsapp, LINE, KakaoTalk, WeChat) will become more intense.